On one of the 7 hills of Nîmes, near the city center, charming house of contemporary and traditional style in noble materials. The house is located in a residential area. It is on one level, facing south, not overlooked, on a landscaped garden with Mediterranean species. Beautiful setting, plant and calm ... Ideal for holidays of rest and relaxation. 10x4 pool with its wooden deck and sunbathing. Covered terrace with barbecue to spend convivial moments around a glass and grill. You will be walking 20 minutes from the city and 5 minutes from the bus stop. Nous avons loué cette villa pour notre anniversaire de mariage et nous n avons pas ete decue. Une maison magnifique decoree avec gout. Une piscine tres belle et grande sans aucun vis a vis. Tout est fait pour que l on se sente a l aise et l accueil etait agreable. Un cadeaux de bienvenue que nous avons beaucoup apprécié. Vraiment rien a redire. Merci beaucoup pour cette semaine de rêve. 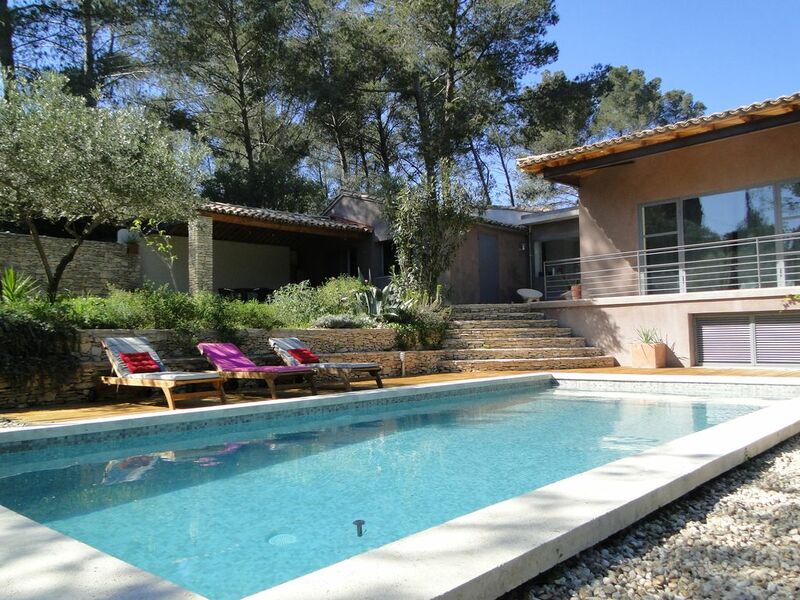 Beautiful family home so near to Nimes and the surrounding area. We would definitely stay again, thanks for a great time! In a 50 km radius of the Cevennes, the sea, but also cities like Arles, Avignon, Les Baux de Provence, Uzes with its markets, museums and festivals.